Last Monday, YouthBuild Philly honored the life, vision and legacy of Dr. Martin Luther King Jr. by spending MLK Day repainting a school in Southwest Philadelphia. 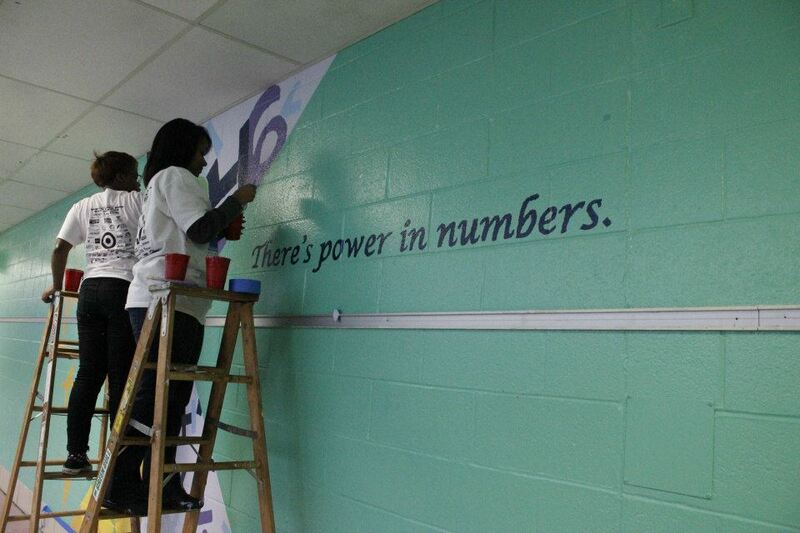 Morton Elementary is a public K-5 school serving 800 students, and needed some new paint on the walls. 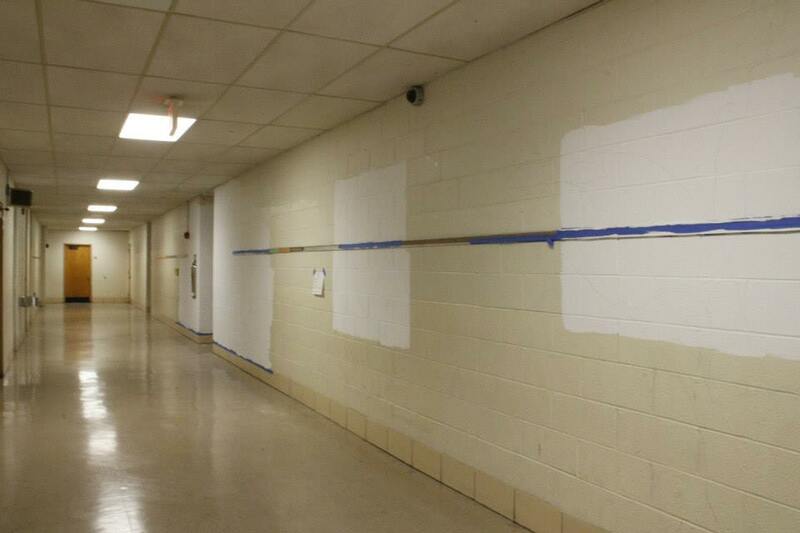 Many of the hallways, like the one pictured below, were almost entirely beige. Studies have shown that bright colors can promote learning and foster positive emotions and behaviors, and we believe that a well-maintained space shows students that they are valued and welcome in school. 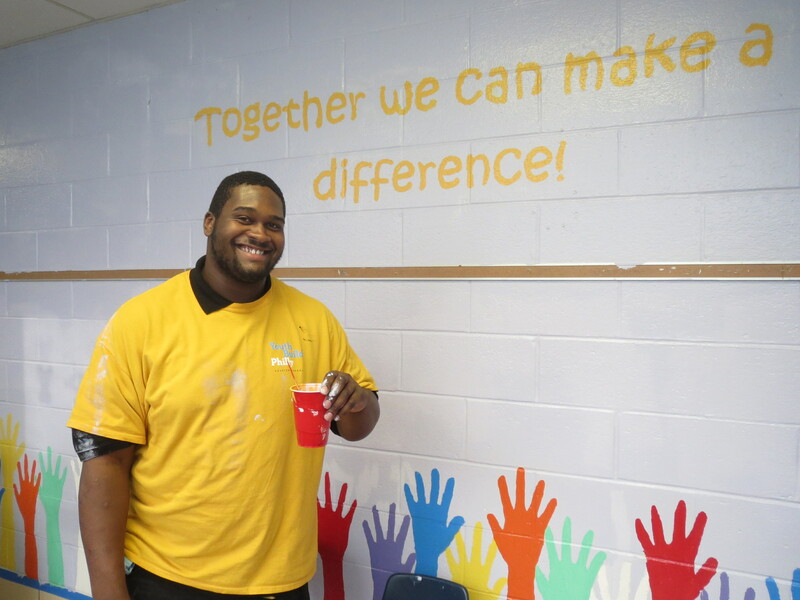 So, we decided to help Morton Elementary become a brighter, more vibrant place for children to learn by repainting the hallways and common spaces with bright colors and adding more artwork. 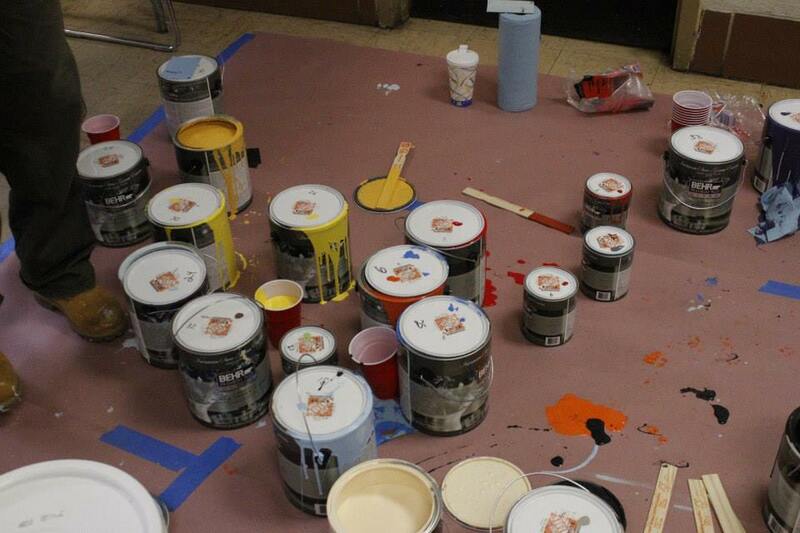 With help from volunteers from DMi Partners and VILLA, YouthBuild Philly staff and students not only repainted all of Morton’s three floors (and two stairwells), but also created 28 different murals throughout the school designed to inspire and encourage Morton’s young learners. This was a huge undertaking for a single day, and we couldn’t have done it without the help of volunteers from DMi Partners and VILLA, and everyone who donated to our fundraiser to purchase paint and other supplies. This was entirely a team effort; even Morton’s principal stopped by on her day off to help. We are very grateful to Morton staff for collaborating with us to plan the redesign, and we hope that they like their new interior! 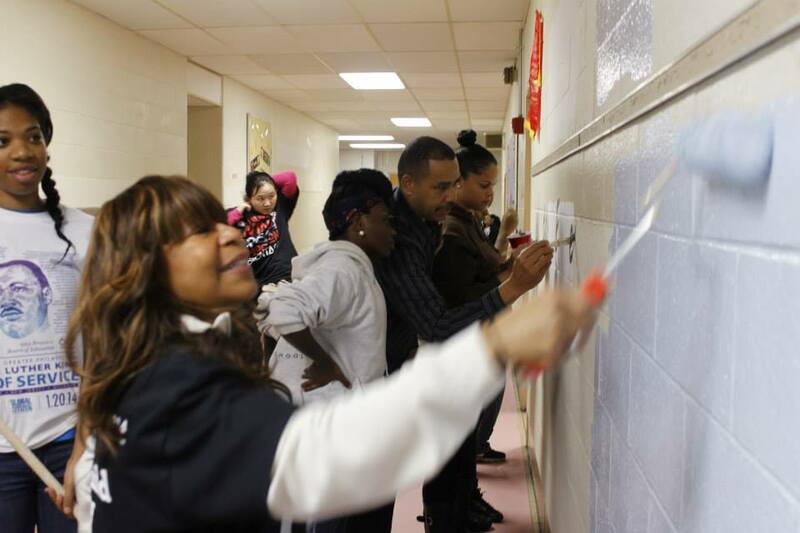 Morton’s Principal Dr. Carolyn Allen-Glass rolls out some fresh paint. As always, we had fun during our day of service and are proud of the results, too. Take a look at these before, during and after photos and let us know what you think in the comments. To see more photos, like us on Facebook and visit our photo album from MLK Day.